Product printmaking plates without cutting tools! This “soft as butter”, heavy foam material lets artists produce printmaking plates without cutting tools - just use a wooden stylus, pencil, or ballpoint pen! The sensitive surface easily imprints with shapes, lines, and textures. 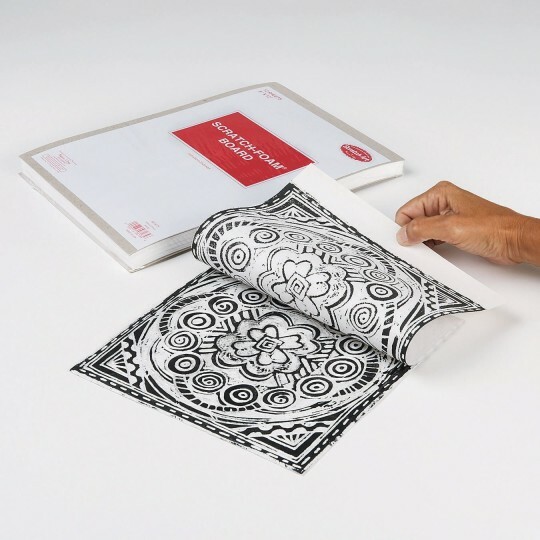 Each “plate” can make dozens of clear prints on the paper of your choice. Just roll on water-based ink, press with a rubbing stick or brayer, and print! 9” x 12”. Pack of 48. Made in USA.